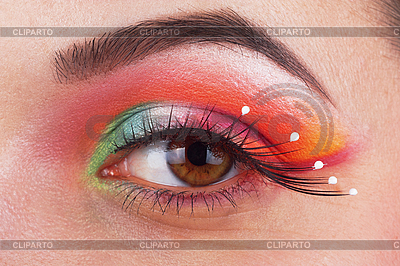 Very beautiful, fantastic make up girl eye. Note: the preview image contains watermarks with the logo of Cliparto. The original image upon purchase does not contain this watermark. Please log in to download the images. › How to select an image size? › Interested in exclusive rights for the image? Download cost is deducted from customer's account on Cliparto when download link is being clicked. additional downloads during an year after the first download are FREE. You do not need to sign up again. Just log in!